InterSearch is one of the oldest executive search firms in the Middle East having started recruiting into the Middle East region more than 25 years ago after the liberation of Kuwait in 1991 we established our first office in the UAE in 1998. InterSearch prides itself on utilising its global reach and expertise to make an impact locally. Globally we have over 90 offices in 50 countries and regionally we now operate from four GCC offices in the Kingdom of Saudi Arabia in Riyadh, the UAE in Dubai and Abu Dhabi and Oman in Muscat. In the Kingdom we service our clients across a wide variety of sectors and offer a unique value proposition of being truly committed to nationalization; with more than 75% of our assignments focused on identifying & attracting Saudi National talent to add value & diversity to leadership teams. Sean joined InterSearch to focus on establishing the newest office of the international executive search firm in The Kingdom of Saudi Arabia. He started his recruitment career in London, UK before relocating to the Middle East 7 years ago, predominantly focused on the KSA market, covering Banking and Finance, SWF’S, Family Groups and Ministerial bodies. 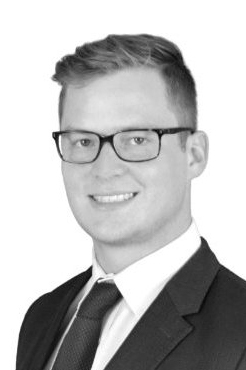 Sean was previously a key member of the Banking & Financial Services team based in Dubai, with one of the leading international recruitment companies from the UK. Focused on Private Equity, Venture Capital, Investment Banking and Family Groups in the GCC. Seán’s interest in the Kingdom of Saudi Arabia started off in his formative years, having attend high school in the U.K. with a number of Saudi Nationals, he learn about the culture of the modern day Saudi family. What started off as an interest in the close family ties, nationalistic culture and fast moving economy, built into successful career focusing on the Kingdom. Throughout this experience, Seán had developed a high caliber service delivery; not only industry leading talent solutions, but also additional value added expertise. He has a strong Saudi National network combined with regional knowledge and international outlook to ensure he is able to provide his clients with a global reach and on the ground impact.